Ousted WH strategist Steve Bannon reportedly lobbied hard for Jerusalem embassy move, tougher line against PA - but was opposed by Kushner. Steve Bannon, the former Breitbart News editor-turned-White House strategist may be out of the Trump administration, but he has far from given up on influencing President Trump’s policies. Last week, the White House announced that Bannon was leaving the administration, after just seven months as White House Chief Strategist. There are conflicting reports over who was ultimately behind the push to oust Bannon, with the Daily Mail claiming Sunday that it was President Trump’s daughter Ivanka who led the effort to remove the firebrand whose support for populism and economic nationalist frustrated Washington insiders. Breitbart News, however, cited a White House aide who said the claim was “totally false”. Inside the Trump White House, Bannon clashed with the president’s son-in-law and senior advisor, Jared Kushner, leading the president to order the two down to Mar-a-Lago for a meeting to iron out their differences. Following his ouster, Bannon remained defiant, saying that he would be “going to war” for President Trump. Sources close to Bannon told Vanity Fair that the 63-year-old former naval officer planned to continue his struggle with Kushner and other administration foes from the outside, looking to influence President Trump externally – perhaps via Breitbart News. Bannon allies cited both personal disagreements as well as a series of substantive policy differences between Bannon and Kushner. 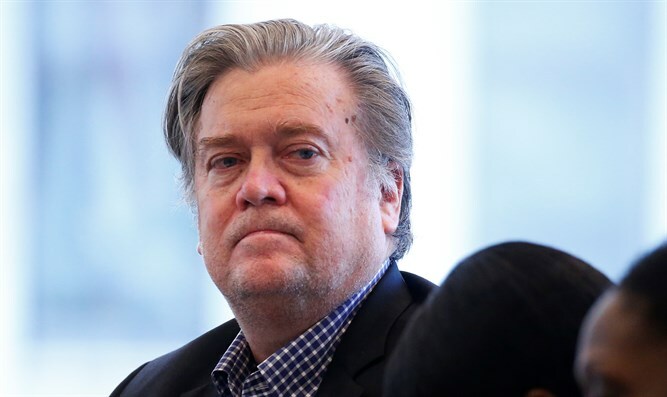 According to the Vanity Fair report, Bannon, among other things, advocated strongly for a pro-Israel approach in the Trump White House, pushing for the president to make good on his campaign promise to relocate the US embassy in Israel from Tel Aviv to Jerusalem, and to take a tougher line on the Palestinian Authority’s support for terrorists jailed in Israel. In May, a photograph of Bannon’s agenda drawn up on a white board in the White House also suggested his support for the embassy move. Sources cited by Vanity Fair claimed that while Bannon pushed the embassy issue, it was Kushner who blocked the relocation. No fewer than three sources close to the former White House senior strategist also said it was Bannon who pushed for a hardline against the PA, including PA chief Mahmoud Abbas, while Kushner and other White House officials opted for a maintaining a more cordial relationship with the PA leader. The three sources claimed Bannon refused to attend the White House meeting with Abbas this past May, saying he preferred to stay home rather than meet with “that terrorist”. “I’m not going to breathe the same air as that terrorist,” Bannon reportedly texted a friend.